Turkey this week announced its purchase of the S-400 antiaircraft missile system from Russia. The deal, according to Western media reports, is worth $2.5 billion. Turkish President Recep Tayyip Erdogan told Turkish media that the first deposit on the system has already been paid. The S-400, which has a range of 400 km. and can down 80 targets simultaneously, is widely considered to be the world's most advanced air defense system at the present time. This development is the latest milestone in Ankara's ongoing drift in recent years away from its traditional strategic position in the region as a NATO and US ally. The recent visit of Iranian Chief of Staff Mohammad Hossein Bagheri to Ankara, accompanied by a large military delegation, was an additional recent indicator of the direction of events. This was the first such visit since the Iranian Revolution of 1979. 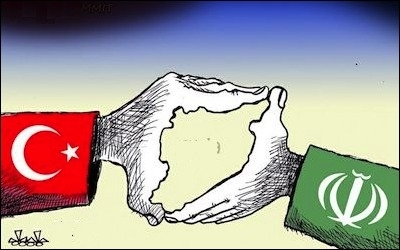 Turkey's close involvement in the Russian-brokered Astana diplomatic process regarding Syria reflects this trend, as does the signing in Moscow in mid-August of a contract between the Turkish Unit International company, Russia's state-owned Zarubezhneft and the Iranian Ghadir Investment Holding for the joint development of three oil fields and a large natural gas field in Iran. Three factors are driving Turkey's repositioning away from the West and toward erstwhile adversaries. So what are the factors underlying Turkey's repositioning away from the West and toward its enemies and adversaries? The explanation lies in three areas: Turkey's perceived immediate interests, the eclipse of its hopes for the region in recent years, and the long-term internal direction of Turkish society and politics. Regarding the first issue, Turkish concerns at the growing Kurdish power in Syria and Iraq bring it closer to Iran's agenda and further from that of the West. Ankara has anxiously watched the rise of the Syrian Kurdish PYD (Democratic Union Party) in recent years in northern Syria. The party is an affiliate of the same Kurdish movement as the PKK (Kurdish Workers' Party), which has been engaged in an insurgency against Turkey and for greater Kurdish rights since 1984. The Syrian Kurds are now ruling over the greater part of the 911-km. border between Syria and Turkey. Only a Turkish military intervention in August 2016 prevented their probable acquisition of the entirety of the border. Turkish concerns about Kurdish power bring it closer to Iran's agenda than that of the West. Yet more disconcertingly from the Turkish point of view, the Syrian Kurds are today engaged in a flourishing military alliance with the United States and the Western coalition in the war against Islamic State in Syria. From tentative beginnings in the urgent days of late 2014, the Pentagon-organized cooperation between the Kurdish YPG and US air power and special forces has turned into a doggedly effective military blunt instrument, which is currently destroying ISIS in the capital of its dying "caliphate" in Raqqa city. The Turks have looked on helplessly as this alliance has grown. Their own attempts in early 2017 to propose an alternative partnership between the US and Turkey's Syrian rebel clients foundered on the low military abilities of the latter and the lack of a clear dividing line between the rebels and Sunni jihadi extremists in northern Syria. So Turkish prioritization of the need to contain and turn back Kurdish achievements in Syria, as well as its staunch opposition to the emergence of a Kurdish state in northern Iraq, bring it into line with Iran's agenda in these countries, and against that of the West. The West, too, does not support Iraqi Kurdish moves toward independence, but its level of hostility to this and its determination to prevent it fall short of those of Tehran. In the past, Ankara and Tehran's joint opposition to Kurdish aspirations did not lead to improved relations between them, because they found themselves on opposite sides of the war between the Assad regime and the Sunni Arab rebellion against it. Similarly, this placed Ankara at loggerheads with Moscow. The Sunni Islamist regional project that put Turkey at odds with Iran & Russia has largely been eclipsed. But this restraining factor no longer applies. The Sunni Islamist regional project that placed Turkey on a collision course with Iran and Russia has, for the moment at least, largely been eclipsed. Once, it was common among Israeli strategists to count among the region's alliances a group of countries and movements broadly aligned with Muslim Brotherhood-style Sunni political Islam. This emergent power bloc was a product of the Arab Spring revolts of the post-2010 period. At its high point in 2012, the crystallizing alliance consisted of Turkey, Qatar, Egypt, Tunisia and Hamas-controlled Gaza. Ankara and the others hoped that the Sunni Arab rebels would swiftly destroy the Assad regime and create an additional conservative Sunni Islamist regime. This didn't happen. The Sunni Islamic revolutionary energies of 2010-2012 are now largely spent. There is little to show for them. Egypt is back in the hands of its army. Tunisia is ruled by a coalition government dominated by non-Islamists. Hamas is trying to rebuild its alliance with Iran. Qatar is facing a counterattack from the UAE and Saudi Arabia, because of its stances. And the Syrian Sunni Arab rebels have no further chance of victory and are currently fighting for survival. Turkey has nothing to gain from further support for Syrian President Bashar Assad's downfall. Turkey emerges from all this as a major loser. It had hoped to ride the wave of Sunni grassroots revolt to a position of regional dominance. (It also, in the initial phase, flirted with the more radical jihadists of Nusra and ISIS in Syria.) But the wave has spent itself. 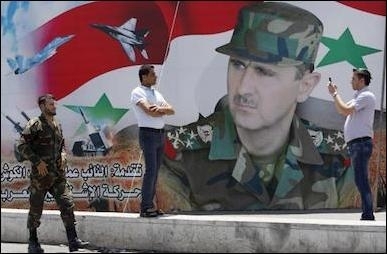 There is nothing to be gained from further support for the destruction of Assad, which will not happen. This clears the way for rapprochement between Iran, Turkey and Russia, through which Ankara will hope to thwart or contain Kurdish gains. At the same time, the latest evidence suggests that Turkey will seek to use Russian mediation to prevent the total defeat and eclipse of the Sunni rebels. This is a matter both of Turkey's Sunni identity and of a simple desire to avoid the humiliation of witnessing the destruction of its clients. The final element underlying Turkey's drift away from the West relates to internal matters. Erdogan is in the process of dismantling much of Turkey's republican societal model, and is building in its place an Islamist society. Forty-thousand people have been jailed since the failed coup of July 15, 2016. A state of emergency remains in place. The free media has been silenced, legal immunity for members of parliament removed, journalists and academics arrested. Hopes for the return of Turkey as a bulwark of Western security in the Middle East are misguided. This new Islamic Turkey will not find its natural home in alliance with the United States and the West, still less with Israel, of course. So there should be no surprise at the sea changes under way in Ankara's regional and global orientation. Turkey is too big and too Sunni to ever become a charter member of the Iran-led regional bloc. There remain sharp differences with Tehran over the future of Sunni communities in Syria and Iraq. But all those still entertaining hopes for a return to Turkey's status as a bulwark of Western security in the Middle East should revise their analysis. The emergent evidence points in a single direction. The Second Turkish Republic is on its way – and its face will be turned toward the East.